Usually when I think of Sunset Magazine, I recall moments sitting in a doctors or dentist office with no other choices beyond Sports Illustrated and/or Women's Home Journal to pass the time. But something funny has happened, either I am aging (obviously getting closer to the 30's) or they have really spent some time with Cher from Clueless and completed a success make over. Either way, I kinda love them now! Ever since I randomly started receiving them in the mail about 6 months ago, I have been surprised by the amount of articles and tips I have discovered, and their focus on Western living is saturated by local tidbits from San Diego and San Francisco all the way up to Portland and Seattle. 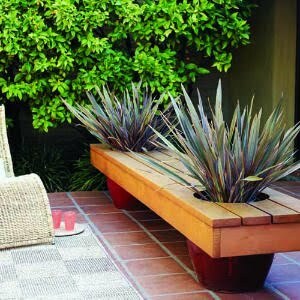 They also give great idea's for Eco-friendly decorating, like this outdoor planter/bench. In this month's issue, Pigment's new Plant Lab terrarium bar and the Pearl Hotel is mentioned, along with this awesome zero-waste home in Northern California. 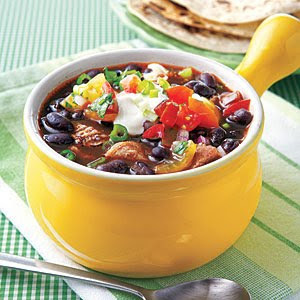 I also love that they have recipes that even a working woman can keep up with, like this black bean soup with avocado and cucumber... plus, amazing seasonal cocktails for picnics and parties are always appreciated. So, if you're burned out by Dwell (don't get me wrong I love them but they feel so inaccessible to the average person's budget) and/or if looking for a resource you can use for weekend trips, new restaurants up the coast, or decorating how-to's, I would give Sunset a try. You might find it's way cooler than it used to be! Now open inside Pat's in North Park, Lost & Found! We are the first storefront to the right of the entrance, about a 10 by ten area of great stuff. A collection of vintage apparel, up-cycled furniture and unique art by local artists. We specialize in mid-century home decor and believe that a nest is best made by using things that are low-impact and re-usable. We have found charm in these items that were once discarded, yet aim to keep their cost affordable to the average person. 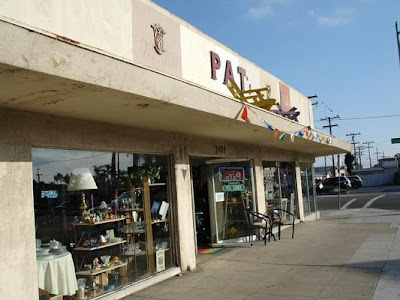 Sales are run through Pat's register, so please make sure you take the tag to the desk. Also, if you are on the hunt for something specific, you can email me and I will personally shop for you. How' that for service?! An assortment of Women's and Men's clothing: ties, handbag's, cardigan's, hats and jeans. Inventory is always changing so what is there one day may be gone the next! The possibilities are endless... so stop by today and see what you can find! Born on the 4th of July, 1914 in Savannah, GA with a disability and placed in a nursing home far from his community, Waddie Welcome was an unlikely public figure. His deep desire for freedom drew many friends into his life in ways that not only liberated him from institutionalization but realized Dr King’s vision of the Beloved Community. 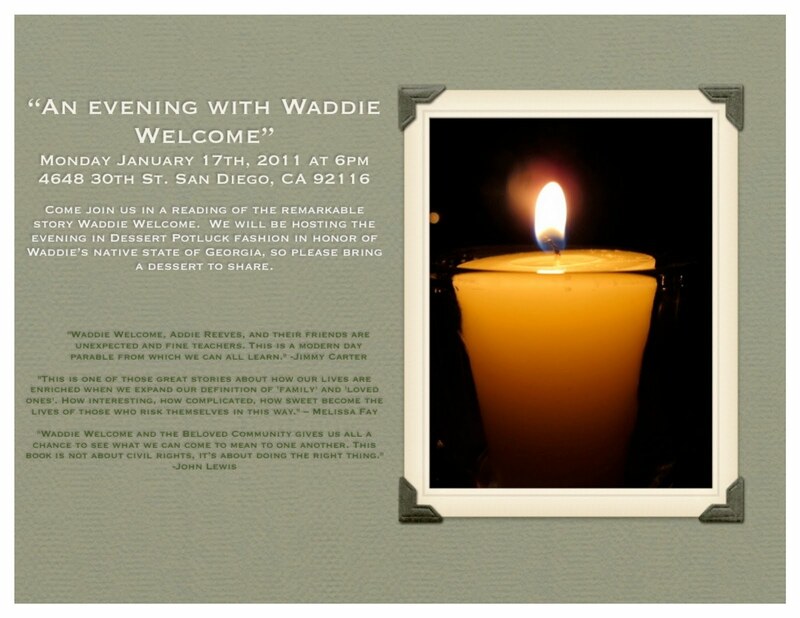 WADDIE WELCOME & THE BELOVED COMMUNITY tells the story of friendships that transcended divisions of disability, race, and income & created powerful new possibilities in a whole community. Reflecting on the story of Mr Welcome & his friends is an ideal part of the celebration of Martin Luther King day. Last year, Anne Mitchell & her friends discovered that the book that Tom Kohler & Susan Earl have written, which can be read in about 45 minutes, forms the foundation for a World Cafe Conversation, a powerful way for groups to have a conversation that matters about the meaning this story carries. Anne & Tom have joined with Inclusion Press to make it possible for you to host your friends, family, neighbors, association members, congregation members, book club members, classmates, & fellow citizens to read WADDIE WELCOME & THE BELOVED COMMUNITY and have a World Cafe Conversation about its meaning for you. So, make your mama proud and come meet your neighbors! I'm openly biased (only in a way that could overtly encourage you) but Josh Bellfy, (my favorite local artist) has an opportunity to start something of his own production right here in San Diego. Edgeware Gallery in Kensington is allowing him use of the space (he basically built) to instruct weekly art classes on the weekends. Starting last Saturday actually, he is offering creative classes that are open to the public, integrated as far as inviting people of all walks of life and age range, and is quite affordable as well. Some of the project include mask making, collages, and learning how to draw to scale. I'm plugging participation of this because I feel it's a great way to take the new year by it's grimy horns and do something "artistic" for fun. If you are a student and looking for some resources, or a local resident who wants to get out on the weekend, or a person with a disability who wants to meet people... Create Relate classes are a good start. If nothing else it provides a space for one on one instruction for your child/children while you get a mani/pedi. Plus, $25 for 3 hours with basic materials covered is a great deal! The background of the project, and everything else you need to know, and more is on CreateRelate.org so check it out. Hope to see you there!